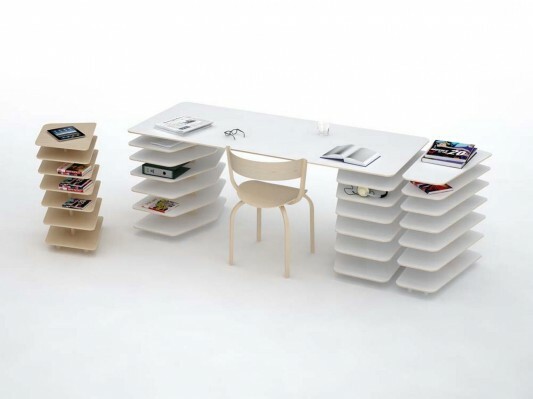 A desk is a compact and minimalist, combining the functions table with shelving system. 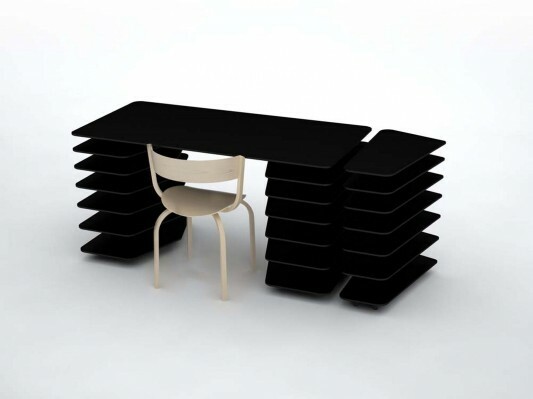 Named Strates designed by Mathieu Lehanneur, is a practical desk and functional, with a view that is completely new, fitted with shelves that can be to save various archives and office equipment. 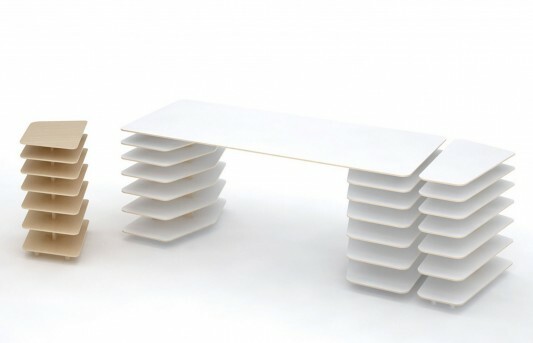 Mathieu Lehanneur have combined the two to create a new typology in Strates, an office desk and shelves in one. 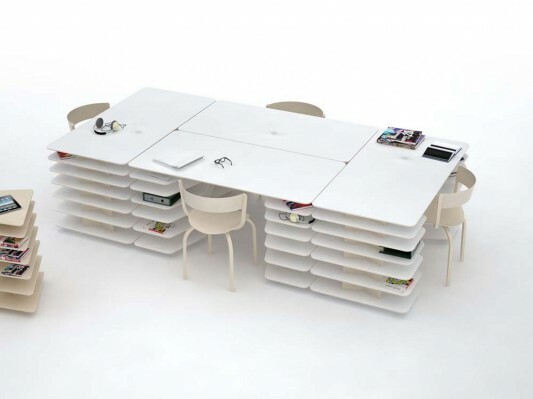 This office desk has a shelf that can be configured in various combinations, so it is very supportive office dГ©cor that brings a minimalist concept. By using simple materials and simple structures and arrangements, Strates System can be an ideal choice for your office or home office. The design is very intuitive and dynamic, and scalable, it becomes an advantage of this office furniture, other furniture that is also easily assembled with only nested elements. Strates System is available in a choice of natural wood colors, white and black, you can choose and find a combination that suits your room decor.